So what is going on with Struever Bros.? So ProJo reported on their blog yesterday and in print today that Struever Bros. Eccles & Rouse has left Rhode Island and pulled out of all projects that it was working on here. PBN however reports that that is not entirely true. “We remain committed to getting our projects moving forward and getting our tenants in,” Struever said. SBE&R’s financial problems are no secret, a quick look at the Google Machine will return many stories recounting the company’s woes from Rhode Island to Baltimore. Many contractors here in Rhode Island have claims against the company. SBE&R has pointed to the loss of Rhode Island’s historic tax credit and the freezing of credit markets as a major contributor to it’s financial woes. SBE&R’s largest current projects in Providence are ALCO in the Valley neighborhood and the Dynamo House in the Jewelry District. The first phase of ALCO is complete with United Natural Foods having moved their corporate offices from Connecticut to ALCO. According to ProJo, McCormack Baron Salazar of St. Louis will be taking over the next two phases which will include 85 units of low-to-moderate income housing and 25 units of workforce housing. McCormack Baron Salazar plans to reduce the amount of market rate housing originally planned. 50,000 square feet of commercial space are slated for the next phases as well. Dynamo House was planned to be the home of the long delayed Heritage Harbor Museum as well as a luxury hotel property and office space in the former South Street Power Plant along the Providence River. It seems there is commitment, and least from McCormack Baron Salazar, to move forward with at least some plans for ALCO. The Dynamo House situation is frustrating. With Route 195 coming down, the waterfront between downtown and the Davol Square area will open up, and the Dynamo House could be the anchor of a vibrant waterfront district for Providence. Struever told PBN that the Dynamo House is on hold while the company tries to secure financing for it, but that SBE&R is committed to the project. I won’t be holding my breath, but I really do hope that the project can move forward either with SBE&R or through someone else. South Street is a little frustrating, but it was bound to happen. Streuver’s problems echo the problems of every single developer in the country right now. South Street is hardly unique. It’ll get done at some point, whether SBER is the company that finishes the job is another matter altogether. What is worrying about Dynamo House is that now it is an open shell. Who will ensure that it is cared for and doesn’t become untenable between now and when/if someone can resume the renovations? I wonder if Brown has considered buying Streuver out of the project and useing the dynamo for their downtown biomed plans. They’re probably too far along with their existing plans, but doing the buyout could open up some of the parcels they were hoping to take as a block from the 195 removal to open bidding and would save the building from gradually falling apart. Brown also currently owns most of Davol Square, a building next door to the Dynamo House. 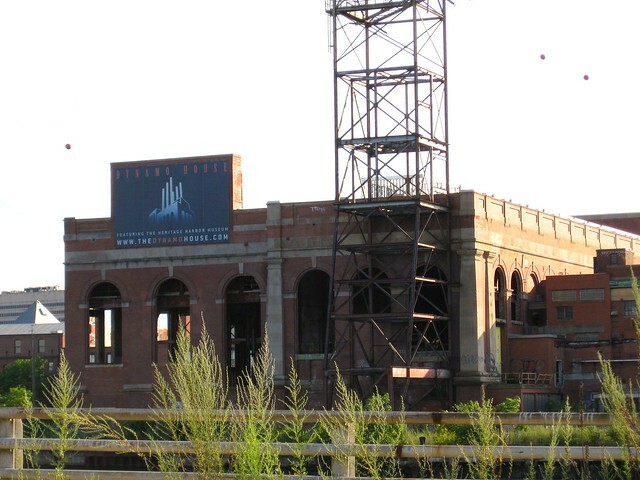 I would like to see Brown purchase the old power station instead of the new land closer to downtown. Also, the property has access to the water, and Brown is currently looking to build a datacenter for their computer operations. If they built the datacenter -next door- to Davol Square (where the computer department is located), they could use the river as a ‘heat sink’ instead of air-to-air cooling (read: greener and cheaper) and also have their IT staff located next to their IT assets. I know SBE&R approached RISD about the Dynamo House and RISD basically laughed because they have no money. I have to assume they approached Brown as well. While Brown has been acquiring properties in the JD, those properties are more or less turn-key (renovations needed for special uses like the medical school), but Dynamo House has no roof. Brown is not exactly rolling in money at this point either, so taking on a project like Dynamo House seems unlikely. I also don’t think a Brown building is the best use for this location. What SBE&R seemed to have planned for Dynamo House (and what I think would be a very good use) is along the lines of what they did at the Baltimore waterfront. While there could be a mixed-use component to having Brown in the Dynamo House, maximizing it’s dining, entertainment, museum, hotel… uses would maximize the number of people coming to the waterfront. In the photo above, you can see the Baltimore example is much like Providence. With a power station, a smaller building, rather like the Davol Square complex, and a new building, which we could see built on the parking lot at Davol Square. Building out the Dynamo House and Davol Square sites provides the opportunity for a massive amount of square footage so there would be room for Brown to have offices in there and still maximize the public attraction potential, but I simply don’t see Brown being interested in the Dynamo House itself. The potential here for Providence to build a world class waterfront entertainment attraction is amazing. 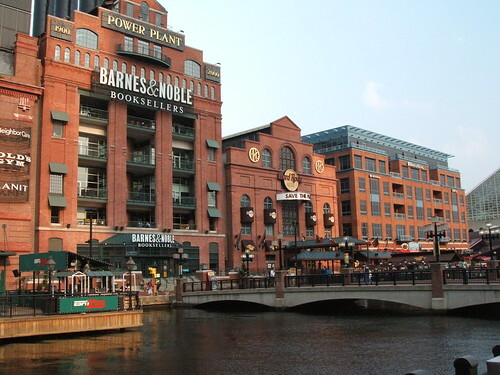 It would be in company with places like the Baltimore waterfront, South Street Seaport, and Ghirardelli Square. And it would not require the relocation of any working industry (unlike other waterfront areas in the city). When visitors came to Providence and asked where our waterfront is, we’d finally have answer (and the answer would not be, “Newport”). This potential makes it all the more painful to see this project languishing (again). I’m just not sure that ‘if you build it, they will come’ is true for that particular area, I’ve seen several bars and venues close on the far-end of the Jewelry District in the past few months, there’s not much foot traffic, and the city totally ignores the public works (yes, those sidewalks on Eddy St. are -still- unpaved, the drains are clogged, and nobody does snow removal on the bridge), and traffic is just terrible. Wouldn’t the old Bootleggers/Shooters/India Point location make more sense for an attraction? With easy access to the highway, green space, a dock that can service boats taller than a few feet, and Wickenden St., it seems a better bet. Marc, It’s not just Baltimore, Boston, New York or San Francisco that have successful created thriving waterfront districts, but other cities all over the world, such as Dublin’s Docklands or London’s Canary Wharf and close to home Newport’s Bowen’s/Bannister’s Wharfs. What all of these waterfront places had in common before they were transformed was that they had been underutilized industrial zones that were depressed and often dangerous or awkwardly connected to their core city. Bars and other establishments have come and gone in the Jewelry District for decades. It’s more likely that the current recession is contributing to closures than anything else. Yes some Eddy Street sidewalks are unpaved where the 1950s highway interchange was inserted into the city’s street grid. The state will be rebuilding or reconnecting streets and sidewalks as a part of the 195 relocation project. The present condition of the Eddy/Dyer corridor in the Jewelry District is an undeveloped industrial zone just as the others were. The Dynamo House site will be adjacent to a new downtown 5.9-acre waterfront park. In roughly 5 years there will be a downtown streetcar system that will operate on 7Ã‚Â½-minute intervals that will be within a block of the site hat should help the traffic issue. The 195 parcels will be sold and begin to be developed. The present vacant quality of the area will dramatically change with these improvements. The Dynamo House project will be a vital southern downtown anchor. Before the Capital Center Master Plan was developed the foot of the state house had more in common with today’s Jewelry District waterfront. Dynamo House proximity makes it a better candidate to be the heart of a future waterfront district. Whereas Wickenden Street and the Fox Point waterfront is further from the downtown core. Why not an active waterfront district on both sides of the river?